Impressive variety. 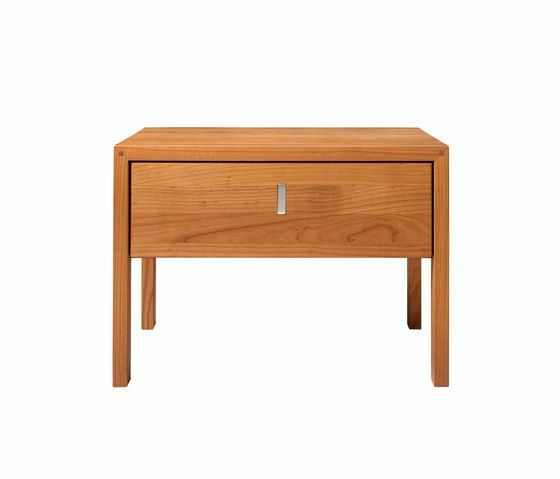 The flap handle of natural wood or stainless steel on the valore night stands and chests of drawers is both attractive and handy. Seven types of wood and nine glass colours for front and top board leave scope for solutions designed to taste. The valore night stands are available open, with shelf, and with one or two drawers. Choose between three widths and two heights to match the bed for your favourite model. The valore chests of drawers are available in a choice of three heights, three widths and various drawer heights.